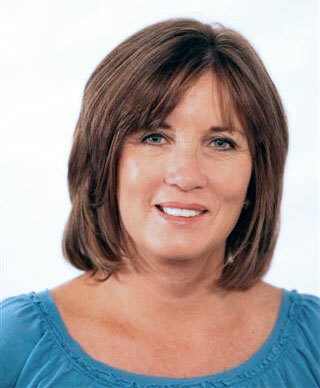 Dede Rossi was appointed by Superintendent Christopher J. Steinhauser to serve on the Measure K Citizens’ Bond Oversight Committee in September 2011. Now in her second and final two-year term as a community-at-large representative in the all-volunteer group, she serves as its elected chairperson. Q: Why did you want to serve on the oversight committee? A: I can’t think of anything more important in our community than improving our public schools. As a parent of two LBUSD graduates and someone who went all the way through elementary, middle, and high school in Long Beach myself, I am committed to this cause. I love this community because it has given me so much and I want to be able to give back in any way I can. Q: Why is Measure K important? A: Measure K makes available $1.2 billion for improving and building schools. This is a great gift we have received from the taxpayers. Without it, we would not be able to repair and replace aging buildings to ensure a positive environment for our children. Measure K is the key to making our school facilities match what we offer in our instructional program — a world-class education to all. Q: What about the link between good schools and local property values? A: Since I am the executive director of the Belmont Shore Business Association, I often get questions about property values and how improving our schools will impact them. The 275 businesses I represent all have a stake because good public schools correlate to higher real estate values and a healthier local economy. I have lived with my husband, Frank, in Belmont Heights for 25 years, and I know my neighborhood property values have held up because people want to move here so they can send their kids to school here. Q: How do we ensure accountability regarding Measure K expenditures? A: I think it’s vital to communicate our progress with the community. The oversight committee publishes an annual report to the public that verifies that Measure K funds are being spent appropriately and according to law. We also monitor the work that’s being done and have a role in bringing up community concerns and questions. Since Measure K is funding projects at every school in the district, we need to get the word out about what that will mean. For example, every school in the district will have wireless capability by fall of 2015. That’s something that benefits everyone and it would be impossible for us to fund this without Measure K.
Q: What are the greatest needs regarding school facilities? A: Most people think $1.2 billion is a lot of money, and it is. But it’s not enough to fund all of our school improvement needs. In fact, we would need $4 billion to $5 billion to fix all of our aging schools. Based on the district’s Facility Master Plan, we are just touching the tip of the iceberg with our present funding. 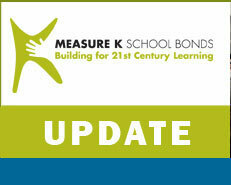 I hope that the community sees what great progress we are making with Measure K dollars and that future school bonds will be approved so we can do the rest of the job. Our kids deserve that.